Hmmm, it needs a little something more, so I added stars from the A144 Flowers, Stars, Hearts and Flourishes set around the edges. Plus, HERE is the link to the Mini Bubble Frame Kit in the GP store. Also, in the SweetStamps.com store here is the page link- one Mini Frame kit comes with flowers as well (same cost). Happy Thanksgiving weekend and shopping too!! I do NOT like crowds, so I am NOT a Black Friday shopper. I rather sit in my PJ's and shop online!! Beats the crowds, the lines and frustration!!! 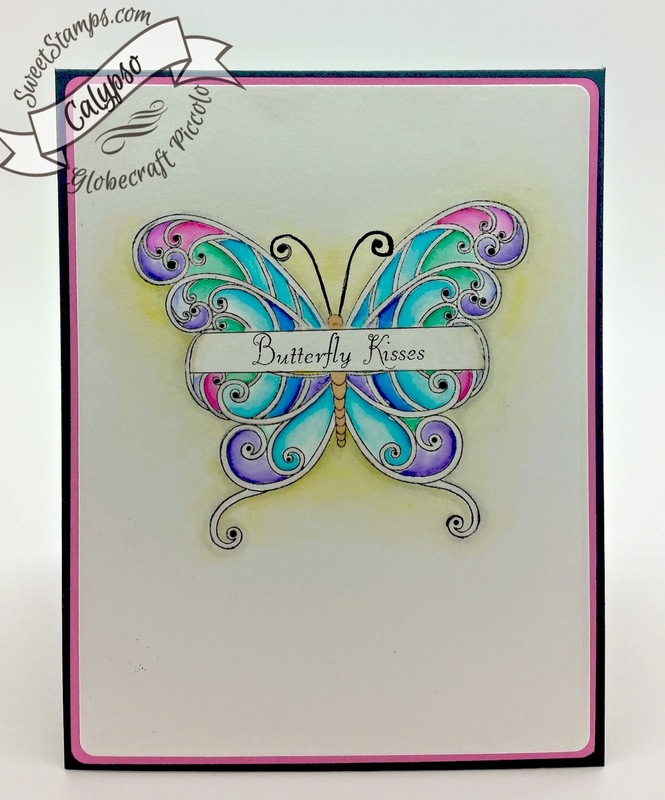 For my card today, I am using the beautiful stamp "Curly Butterfly" stamp. I did a little something different with this set this week. I went around with my glaze pen, which is clear and filled in the curly parts of the butterfly. I'm watercolored the image and because I didn't want to have the colors bleed into one another, the glaze acted as a border for me. 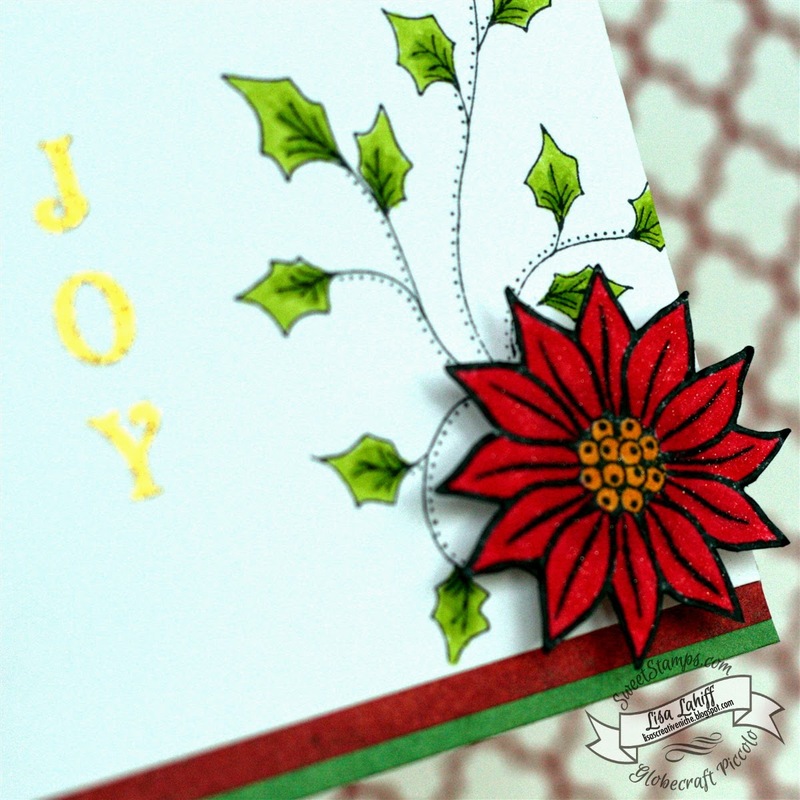 I also incorporated the "Bordered Sentiment" which is this weeks challenge at SweetStamps. 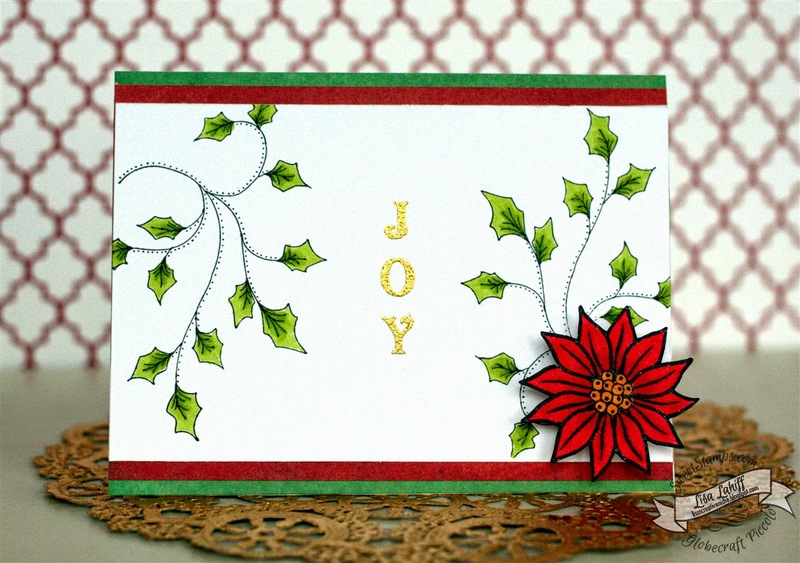 This card is a very basic stamping, coloring and embossing card. With a touch of sparkle on the poinsettia to set it off. 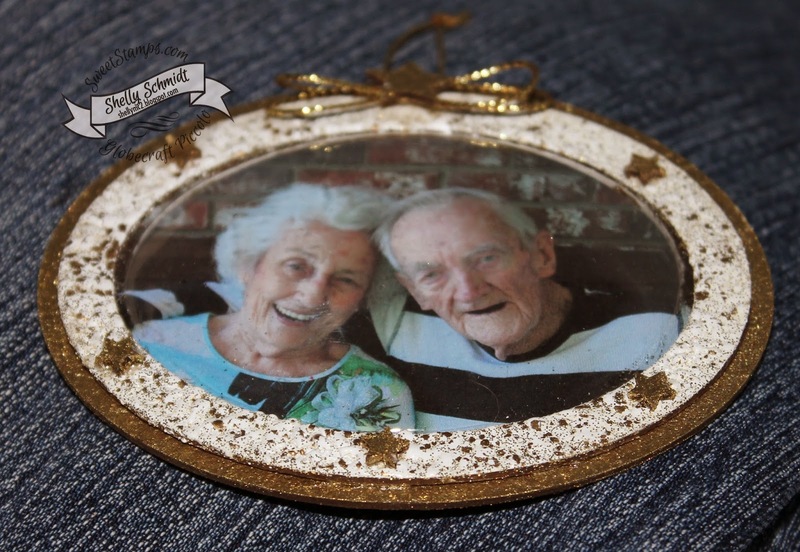 I hope you will get some time to play in our Bordered Sentiment Challenge, they are easy to create as I have done here and you'll have a chance to win a $10 gc! woot woot! I could not resist using the new Fall Owls stamps again-especially today on Thanksgiving. I added a button with a bow and some sequins for accents. 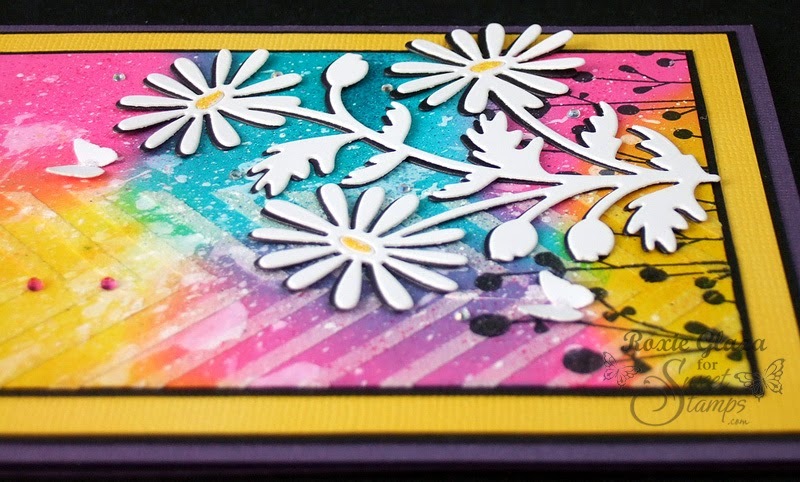 Hello, it's Roxie here today to show you a colorful card using distress inks for color and the Perfect Airbrush to blow white acrylic paint in full strength and also slightly diluted onto the colors. The chevron pattern is created with stencil and molding paste. The black images are stamped on, the white images are die cuts. I used the 1/16" and 1/4" Perfect Layers rulers to create my mats/borders. The envelope and insert were masked off, sponged with ink then the black image stamped beyond the color line. 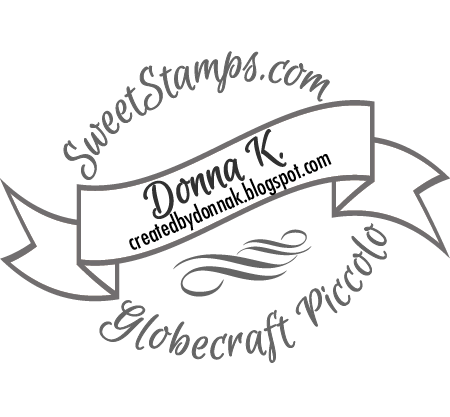 The flower die was cut in both white and black and the white is offset over the black to create a slight shadow effect. using the "Bordered Sentiments" technique. That challenge started yesterday and you can find it by scrolling down just a tad. I covered the sentiment area with a piece of painter's tape. The stencil I used for my background is called Stone Path. I used distressed ink to shade the background. 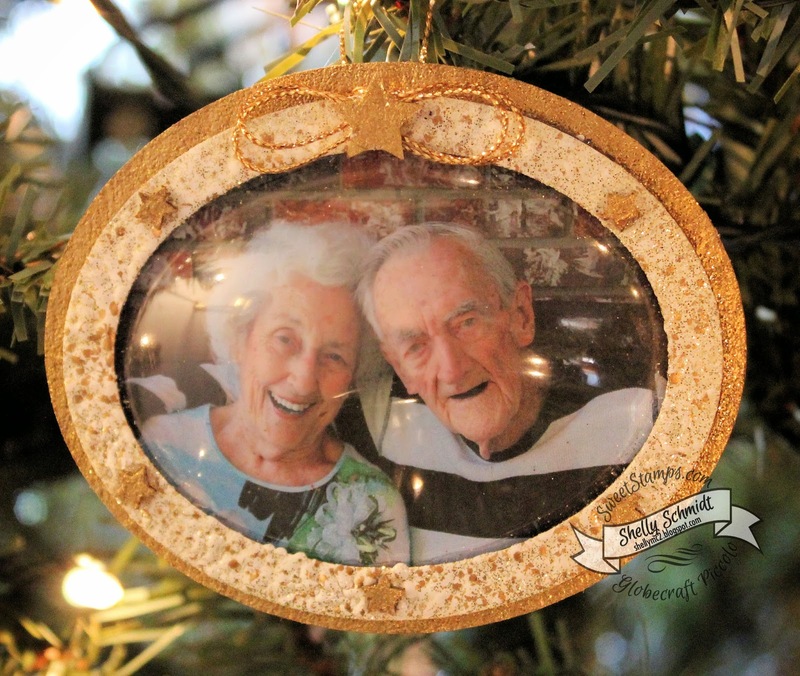 One of my pennant die cut pieces served as my tree "template." Lil flowers, leaves, birds and bows Piccolo set. Did Someone Say Turkey Owl? !